concludes that acupuncture treats hearing loss. Researchers measured the effects of acupuncture on patients with sudden sensorineural hearing loss. 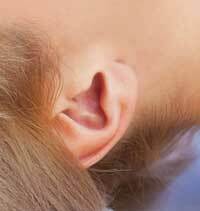 This type of hearing loss is defined as a loss of 30 dB or more in 3 contiguous frequencies within three days or less. Thirty-six patients of a total of seventy-two “showed improvement” with an average gain of 24.47 dB of hearing restoration. The researchers “demonstrated that favorable prognosis was directly related to the time interval from the onset of hearing loss to the start of AT (acupuncture therapy).” For the patients that showed significant improvement, start of acupuncture treatment was within an average of 51 days from the onset of hearing loss. For the group that did not respond, the average was 167 days between onset of the illness and the beginning of acupuncture care. Variables that did not affect the outcome: vertigo, presence of hypertension, gender.